EDIT: Giveaway is officially over. Congratulations to Emily Drake for submitting the randomly chosen 217th entry. Spring is fluttering closer, day by day. But you don't have to wait a second more to be surrounded by the beauty of butterflies - just fly to the Winged Art by Athenianaire Etsy shop. 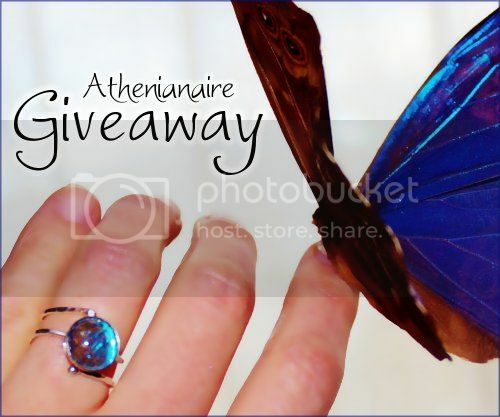 Rebecca is giving away a butterfly wing ring to one lucky lady. She's hand crafted sterling silver into a spiral setting, available in any ring size. The amazingly reflective aqua to deep blue color is thanks to a real butterfly wing. After natural death, a Blue Morpho Zephryities is carefully sealed in glass. Not only will the winner get to wear a pretty piece of jewelry - but they can be proud knowing that its creation helped to protect butterfly species. Every preserved butterfly is bought from legal conservation farms in their native lands. The revenue is used to conserve land and help local populations thrive. Use the Rafflecopter below to enter to win jewelry giveaway before 11:59pm EST on March 15, 2013. Be sure to leave the mandatory comment on the blog post with the same name you use to fill out the Rafflecopter - all entries by winner must be easily verified or a new winner will be chosen. I LOVE the As Luck Would Have It real 4 leaf clover and butterfly wing Pendant. It is stunning! I love the As Luck Would Have It real 4 leaf clover and butterfly wing Pendant, Sterling Silver Jewelry Blue Morpho Butterfly Wing Jewelry. I think it is absolutely stunning! Rebecca from Athenianaire here! 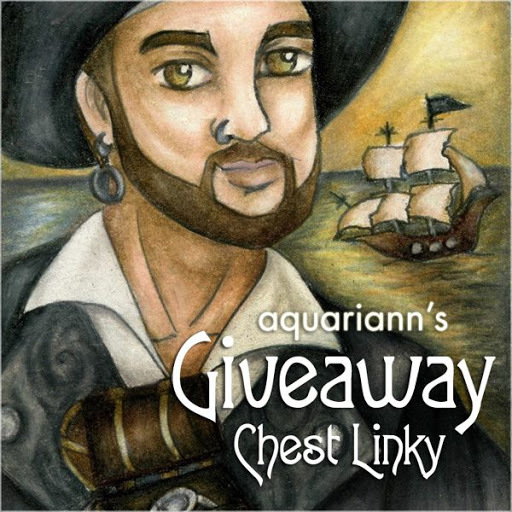 Thank you to all who are entering this giveaway! If you have ANY butterfly, Moth, Gardening, or rearing questions feel free to pop over to my FB Page and ask! 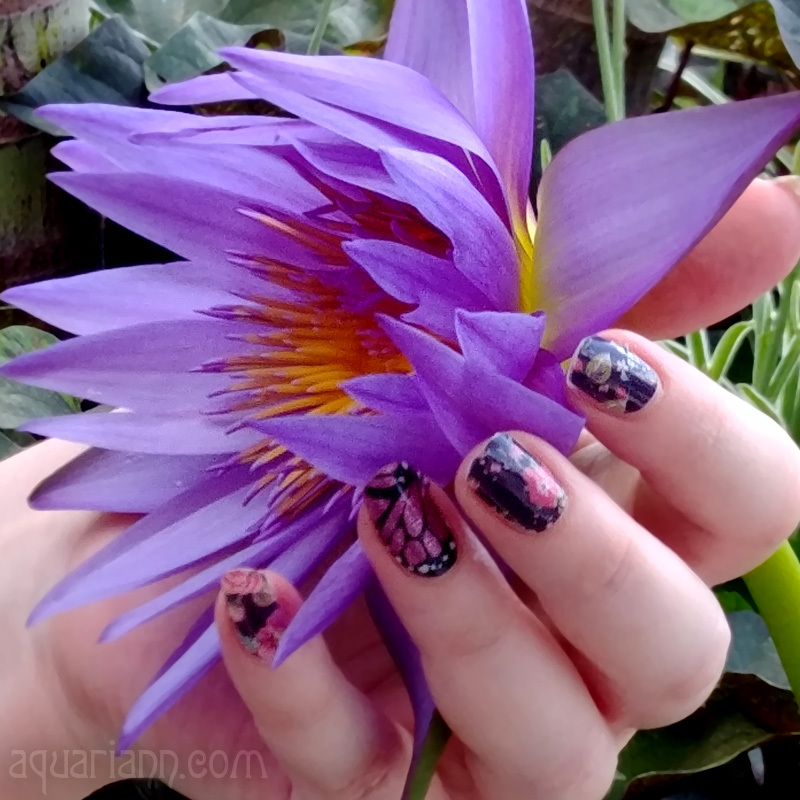 I love Rebecca's shop, as well as her work for butterfly conservation! I really love this bracelet and earring set: http://www.etsy.com/listing/124312890/real-sunset-moth-sterling-silver? I absolutely love these items. I know it's not jewelry but, this is one of my favorites: Real Blue Morpho Butterfly Framed Morpho didius didius 10 x 10 Frame Handcrafted Matting. love this set :) http://www.etsy.com/listing/68218473/wedding-bell-blues-matching-necklace-and? I like this ring --> http://www.etsy.com/listing/97151398/real-butterfly-wing-sterling-silver?. I like Sa Luck Would Have It Necklace. My favourite item is http://www.etsy.com/listing/124312873/real-morpho-butterfly-wing-in-glass? I love the Real Morpho lympharis Butterfly Wing Sterling Silver Ring Size 6 7 8 9 10!!! So beautiful! I love love love the Real Blue Morpho Butterfly Wing and Sunset Moth Sterling Silver Heart Necklace Real Butterfly Wing Jewelry Valentine's Day!! Wow! Love the Real Blue Morpho Butterfly Wing and Sunset Moth Sterling Silver Heart Necklace. The Real Butterfly Wing Jewelry Pink Heart Silver Bracelet is gorgeous! I really love the Real Papilio Ulysess and Blue Morpho Butterfly Wing necklace! I love the Butterfly Wing Jewelry Real Sunset Moth Wing Petite Heart Jewelry. I think these are so beautiful. about 10 years ago, I got a beautiful butterfly preserved. It's in my dining room and still look at it. A lot of the swirly galaxy looking pieces are gorgeous.. this one got my eye: http://www.etsy.com/listing/88954697/real-butterfly-wing-blue-morpho? I love the Real Butterfly Wing Sterling Silver Stack Rings SET OF 3 Sizes 6 7 8 9 real blue morpho butterfly wing ring. Fave item from her shop: http://www.etsy.com/listing/97151398/real-butterfly-wing-sterling-silver? So in love with this: http://www.etsy.com/listing/68158639/as-luck-would-have-it-real-4-leaf-clover? Love the Real Blue Morpho Butterfly Wing Necklace. This is my favorite item: https://www.etsy.com/listing/89827729/real-sunset-moth-wing-sterling-silver? i love this one: http://www.etsy.com/listing/91017209/real-butterfly-wing-sterling-silver? The Real Sunset Moth Wing Ring is so pretty! I love the Wedding Bell Blues matching Necklace and Cufflinks from Mother of Pearl Morpho LIMITED EDITION Set Winter Wedding. Beautiful! I love the monarch butterfly necklace. Gorgeous. I really love the morph bracelet. I love the Shadow box: https://www.etsy.com/listing/119306011/blue-morpho-butterfly-display-real? Love the morpho wing bracelet. Beautiful work! The pink heart silver bracelet is great. Thanks for the chance. My fav item is Real Butterfly Wing Sterling Silver Stack Rings SET OF 5 Rings Sizes 6 7 8 9 10 Animal, Plant, Mineral Amber Moonstone. *_* Thanks for the awesome giveaway! love this http://www.etsy.com/listing/89905514/real-blue-morpho-butterfly-wing-and? such neat stuff! Christina - xristya@rock.com - I love the Real Blue Morpho Butterfly Sterling Ring, size 8, please! I love the rings and the beautiful Blue Morpho Butterfly displays! I love the monarch earrings and cufflinks. I hope to win this ring because the style and design is so simple, yet it's both classy and elegant. Thank you for this giveaway!! I really like the As Luck Would Have It real 4 leaf clover and butterfly wing Pendant. It is beautiful! Thanks for the chance. the blue morpho butterfly wing necklace is gorgeous! Butterfly Wing Jewellery - the blue Morpho wing necklace. I like the Real Sunset Moth Sterling Silver Bracelet. I love the blue wing morpho necklace most of all! Butterfly Wing Jewelry Monarch Butterfly - in the sterling silver necklace - so cool! So hard to choose only one, so here are 2 of my top favourites.... GORGEOUS!!!!! I really love the Real Blue Morpho Butterfly Wing and Delias Butterfly Silver Heart Necklace Real Butterfly Wing Jewelry. The ring is my favorite! Its beautiful! Luna moths are my favorite so I love the Luna Moth Blue Morpho Real Butterfly Wing Sterling Silver Necklace! I like the Real Blue Morpho Butterfly Wing Jewelry Petite Heart Pendant Butterfly Wing Valentine! I love all of her products & butterfly's so it is hard to choose just one. Very Hard. But I pick the ornament only because I had too, lol. hweisenfels (@) yahoo (.) com is my RC email. I like the Real Pink Butterfly Wing double sided pendant, Sterling Silver. I love the Real Sunset Moth Wing Sterling Silver Ring! Butterfly Wing Ring For My Mother. I Liked The Real Blue Morpho Butterfly Wing Bubble Pocket Watch Necklace. I love this ring!!! :) http://www.etsy.com/listing/120181570/blue-morpho-butterfly-wing-jewelry? I love the hair pins!